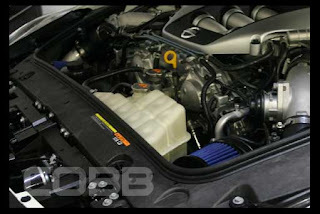 "Our R35 SF Intake will feature our composite MAF housings with integrated velocity stack and air flow straighteners. Air is filtered through high flow, serviceable, blue cotton filters. As with all modern intake systems, a lot of care and effort must go into keeping the air flow smooth throughout the entire system. "